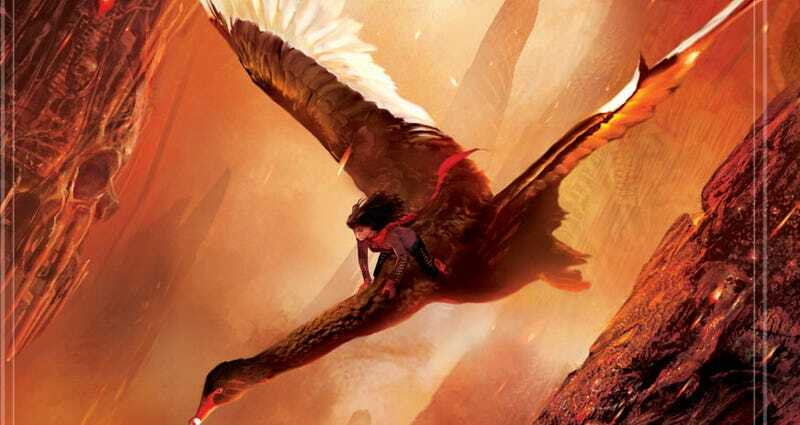 Science fiction and fantasy books wouldn't be nearly as vital a part of our culture without their incredible cover illustrations and other artwork. And every year, the Chesley Awards celebrate the loveliest and most arresting artworks in the field. This year's Chesley nominees were just announced, and here are some of our favorite images from among the nominees. You can read the whole list of nominees over at Tor.com — but here are some of the images we liked the best. Dan Dos Santos for My Life as a White Trash Zombie by Diana Rowland, DAW Books. This artwork already won a silver medal from the Spectrum awards — check out a post about the making of the image here. John Picacio for George R.R. Martin: A Song of Ice and Fire, 2012 Calendar, Random House, July 2011. See Picacio's posts about the making of this calendar artwork here and here.